We know that Ramadan is the month of fasting and we read a lot of material urging us to be patient and determined to complete the fast. With all the talk being centered around abstaining from food and drink this leaves those who cannot fast in a dilemma; how can they make Ramadan meaningful and beneficial? All is not lost! 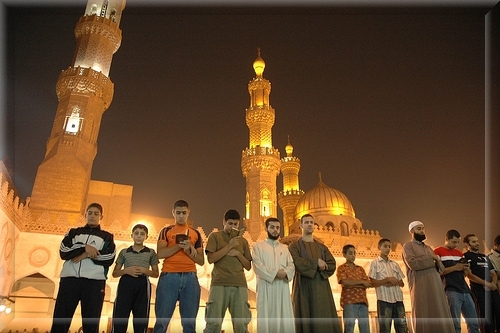 Prophet Muhammad (peace and blessings be upon him) said that supplication is the essence of worship (Tirmidhi). Besides making a lot of supplication there are many things that a non-fasting person can do to receive blessings and closeness to Allah the Almighty during this blessed time. Keep in mind that not fasting for legitimate reasons is also obedience to Allah the Almighty and entails a reward! Fasting helps us to learn self-restraint, so if you are not able to fast you can still exercise self discipline. You can exert great efforts to quit bad habits, curb your tongue and keep away from junk food. You can also feed people. Invite people to break the fast with you! The rewards for our good deeds are greatly increased during Ramadan and giving charity always entails a lot of blessings. If you cannot fast you can give to others in need. Ramadan is the ideal time to get out into your community and visit those who are sick – even if you are not well yourself you can always phone them. The Prophet (peace and blessings be upon him) said that Ramadan is a month whose beginning is mercy, whose middle is forgiveness and whose end is freedom from the Fire. If we keep this in mind it will be easy to show mercy to others. Remember the people around the world who are living in miserable conditions. This is the ideal time to help the organizations that help them. The month of Ramadan is also about remembering the Qur'an and the wonderful blessing it is. Why not try to read the Quran during the month? If you read just one section of the Qur'an every day you will finish it all after 30 days! Also, you can remember Allah the Almighty more and while you are saying these remembrances, keep in mind all the blessings you have and ask Him for the things you need. After all, He is the Essentially Merciful, the Ever Merciful. Be mindful that despite the mistakes we make and the sins we commit, Allah the Almighty is always ready to turn to us with forgiveness and support. These are very special days and we will not see them until this time next year so it is very important that we make the most of them. Remember that Allah the Almighty knows us better than we know ourselves and He loves us to ask Him for help and guidance; for everything we need. Ask for the mercy of Allah the Almighty and be merciful to all those around you. Make excuses for the mistakes people make, just like you would like people to make excuses for you. Imagine that with everything good you do you are making a mountain of good deeds that you will see in the Hereafter; but also keep in mind that when you do wrong things like backbiting, complaining, getting angry and so on, you are chipping away at them. How many good deeds will you have at the end of this Ramadan?